The cosmic object, called 'Oumuamua, has preoccupied scientists since October 2017, when it first appeared. Yale's Darryl Seligman and Greg Laughlin along with Caltech's Konstantin Batygin have put forward a new theory about the nature of 'Oumuamua, which is slated to be published in The Astrophysical Journal. "We propose that — even in light of the dust, gascomposition and spin-up issues — a volatile-rich gasventing structure for ‘Oumuamua provides the simplest explanation for its odd trajectory," the scientists said in the paper. READ MORE: Is Oumuamua Asteroid Acting Like Cutting-Edge 'Light Sail' Technology? Despite the fact that a tail or gas can't be seen, according to the scientists, it still looks like a comet. The research paper also showed an estimated 'Oumuamua image — a long capsule-like cosmic object, emitting "nozzle-like venting of volatiles", mostly water vapour. This can explain why no tail of the estimated comet is seen. The alleged asteroid 'Oumuamua has been the subject of heated debates in scientific circles for over a year now, with both alien-related and more traditional theories. Previously, Avi Loeb, head of Harvard University's astronomy department, said that 'Oumuamua is a part of an alien spaceship. 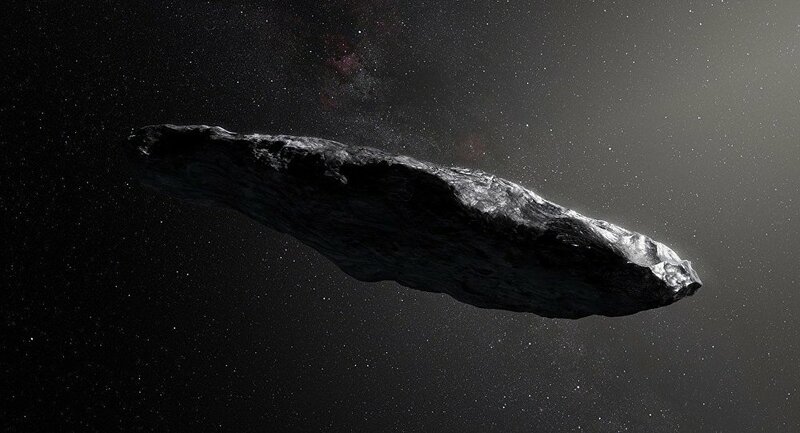 'Oumuamua, which means "messenger from afar" in Hawaiian, was first discovered in 2017 by researchers with the Panoramic Survey Telescope Rapid Response Systems (Pan-STARRS), located on Maui. The cigar-shaped space rock is apparently the first known object from another solar system to pass through our own.